The EU PEACE IV project is to target hard to reach and marginalised individuals and communities that have suffered as a result of the region’s past. 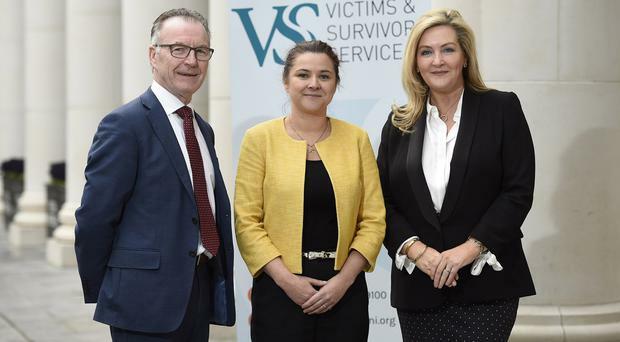 A new EU-funded programme has been launched to help improve the health and wellbeing of victims and survivors of the Troubles. Officially launched on Wednesday by the Victims and Survivors Service (VSS) in Northern Ireland, it is hoped that the programme, Shared Spaces and Services – Victims and Survivors 2017-21, will help bring about real changes to many lives. VSS chief executive Margaret Bateson said: “The new programme will look at how victims and survivors can be supported through a range of services, with a specific focus on improving health and well-being. Gina McIntyre, CEO of the Special EU Programmes Body (SEUPB) – which manages the project, said: “The support that has been provided under the current PEACE IV Programme recognises that victims and survivors are an extremely diverse group with very unique and complex needs. The PEACE IV Programme has a value of 270 million euro (£239 million) and aims to promote peace and reconciliation in Northern Ireland and the Border Region of Ireland.